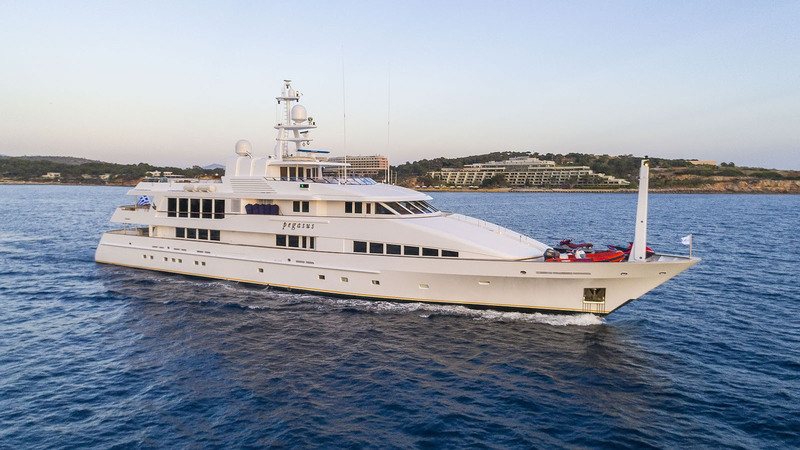 A beautiful 53m Feadship, Pegasus was extensively refitted in 2009 and is in excellent condition. ummaryhe is a highly voluminous yacht and has a well thought layout that comfortably accommodates up to twelve guests in six spacious cabins. Pegasus has elegant interiors throughout. She also features huge outdoor areas where guests can enjoy al-fresco dining and relaxation on her impressive sun deck. She reaches a top speed of 18 knots and offers comfortable, long-range cruising. She has an impressive collection of water toys for all to enjoy. Learn How to Rent a Yacht here! 1 x 8.8m Air Ship 250 HP engine.